Every year thousands of people flee violence and poverty in El Salvador, Honduras and Guatemala and enter Mexico with the hope of reaching the United States. MSF has assisted people affected by natural disasters, such as two major earthquakes in 2017. Migrants fleeing to or through Mexico are systematically exposed to violence and inhumane treatment. MSF teams have scaled up assistance for victims of sexual and gender-based violence in several regions. Teams facilitate community support groups and activities in neighbourhoods, coordinate psychoeducational sessions or psychosocial activities in shelters, and provide critical medical care. In Mexico City, MSF established a specialised therapeutic centre, the Centre for Integral Action, for displaced people who have been victims of extreme violence, torture and ill treatment. In Guadalajara, where levels of violence are particularly high, an MSF team is present offering psychological and social care to migrants in shelters and via mobile clinic visits. In Tierra Caliente (Guerrero state), rural health posts are frequently closed due to violence, threats, turf wars and a lack of staff. We provide emergency obstetric services, including caesarean sections, and run mobile clinics in San Miguel Totolapan and General Heliodoro Castillo municipalities. On 7 and 19 September, several states in central and southern Mexico were affected by two separate earthquakes, which left hundreds dead, thousands injured and many people homeless. 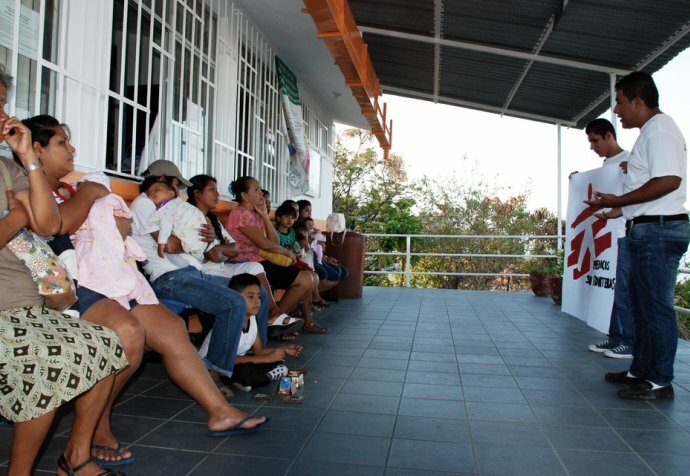 In response, MSF deployed seven teams in Oaxaca, Puebla, Morelos, State of Mexico and Mexico City, which provided medical and mental health consultations. The teams also distributed basic survival kits and donated tents to families.